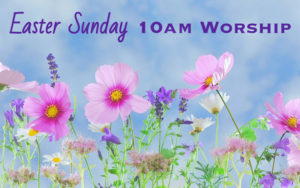 April 21, 10am in Sanctuary. Nursery is provided for young children. Other children will remain in service. We will serve Communion by an open table, meaning all are invited to partake.